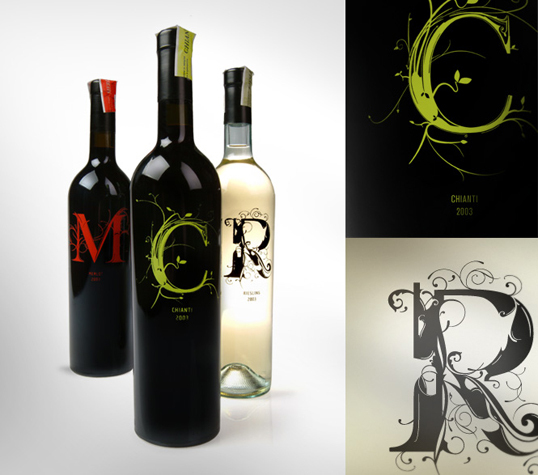 Ned Wright produced these unique designs for Sohne Vineyards. The customized type really helps the bottles stand out from the plethora of wine options at your local liquor store. very “si scott” looking, still nice work, ned.